Another week is coming to an end and there's lots to discuss. Let's begin with THE CONTEST! It's been a week of milestones. 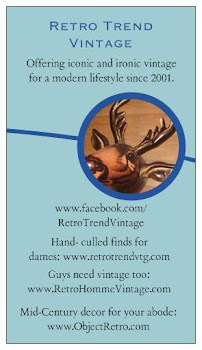 Over 1,300 Facebook fans, over 2,000 Twitter followers and over 500 retrotrend shop hearts. My way of saying "Thank you!" 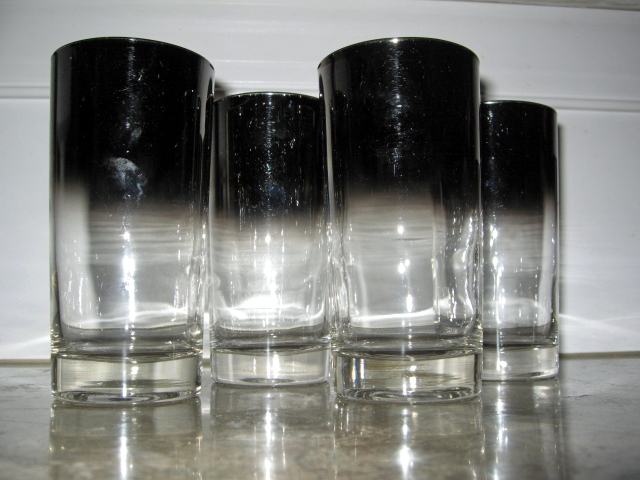 is to give away this INCREDIBLE set of four Mid- Century dipped (insert Gigi reference here) quicksilver High Ball glasses. 1- Follow this blog and leave a comment on this post. 2- Become a fan on Facebook and comment with the details below. 3- Tweet about this contest and comment with the details below. 4- Link this blog post to your Facebook (personal or fan) page and comment with the details below. 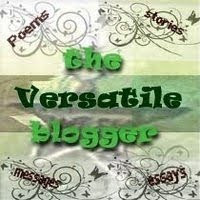 One winner will be chosen at random on Wednesday, February 2nd, 2011. The winner will be announced here. Back to our (somewhat) regularly scheduled program. I was the recipient of two lovely blog mentions yesterday, from Amy'sOldSchool and GarageSaleGirly, featuring this bag and these ties, respectively. Thanks, guys! If you're a regular reader, you'll recall this post from August, all about my vintage glasses frames buying adventure. Well, I went back a few days ago and purchased more frames, which will be listing in the next few weeks. And SOLDES is still going strong, for a few more days. 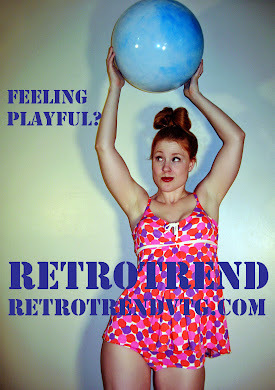 35% off of nearly every retrotrend item! 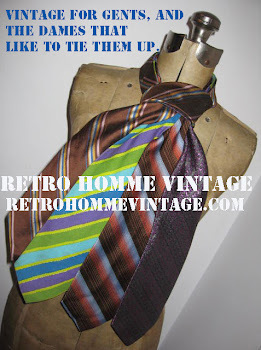 25% off nearly every RetroHommeVintage item! 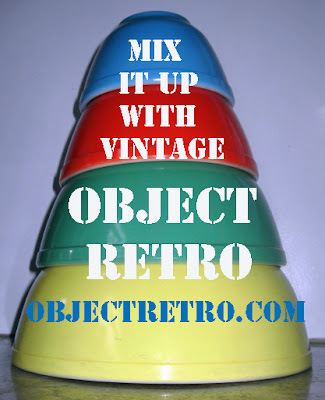 15% off of every ObjectRetro item with coupon code "15OFFYAY". I'll enjoy the snow, you enjoy the savings. 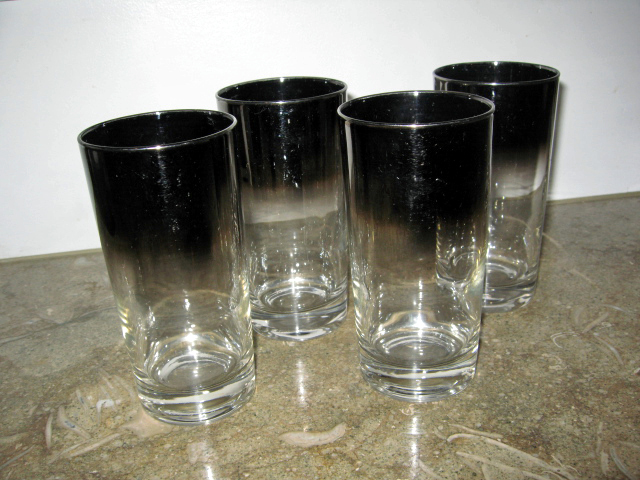 Awesome glasses and perfect for Mad Men cocktail hour! Those are some pretty sweet glasses! So perfect for cocktail hour! Just tweeted about your sale! Hope I win!! oops.. I mean I tweeted about the giveaway!